I am ALL about hearts. The more the merrier! 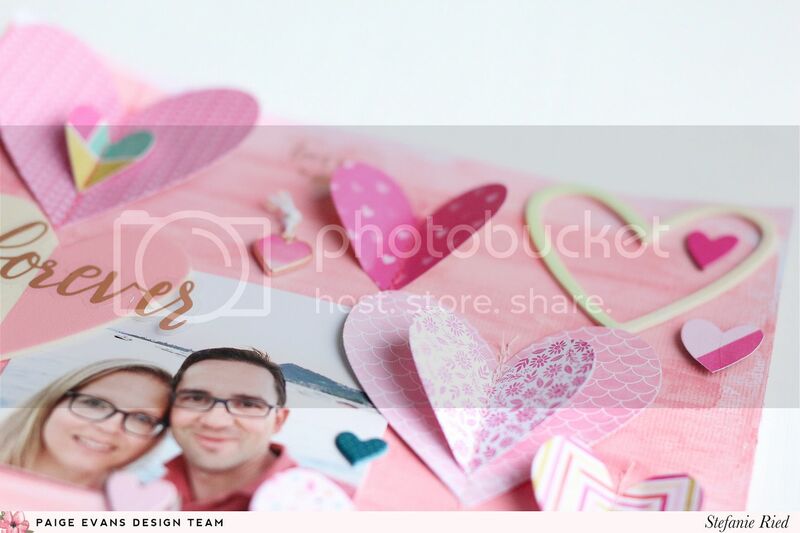 It's the perfect shape for conveying a message of love and since layouts often feature people or places that I love, you can never go wrong with too many hearts! 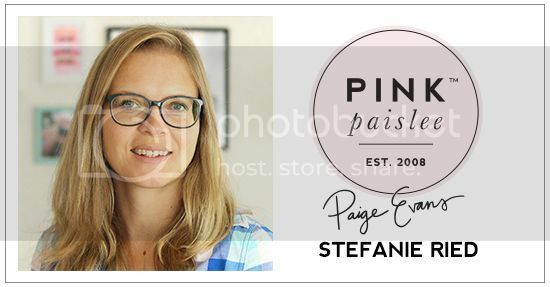 Which is why I L♡VE the layout Steffi Ried is sharing today! Hello! It's Steffi Ried and welcome to a new project! 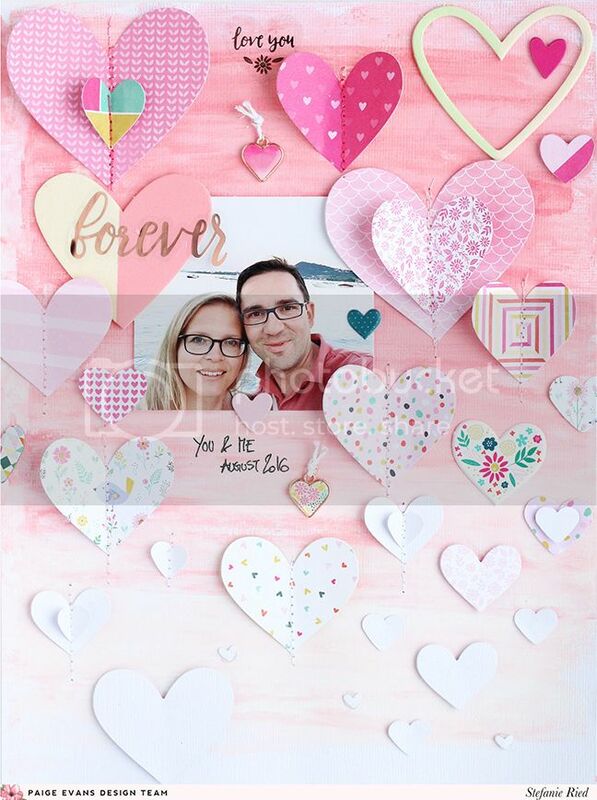 In February everything revolves around LOVE and Valentine's Day so I have created a layout with quite a lot of hearts. I like the effect of "raining hearts". The photo is from our vacation last year to Lake Garda, Italy. For the background I used acrylic paints (pink, rose, blush & white). With an old gift card, I applied the color from dark to light. After that I blurred it with a cloth. 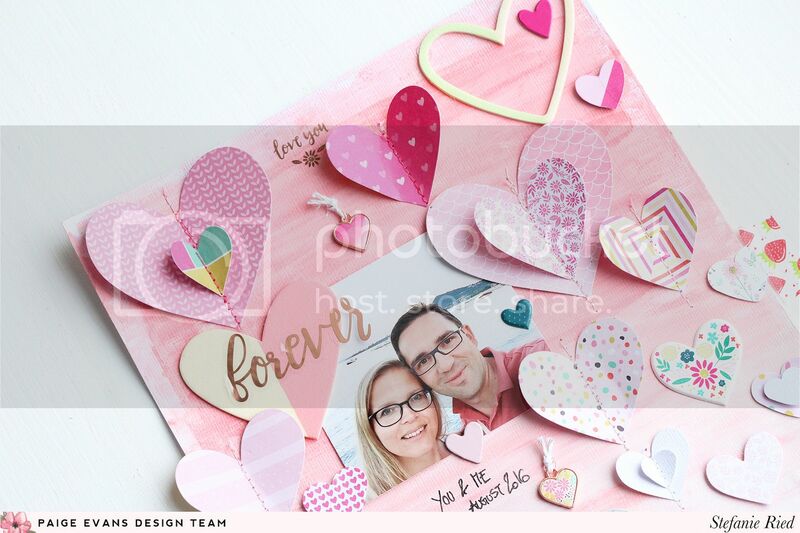 I used the chipboard and heart stickers from the new collection "Oh My Heart" and the wood veneer hearts from the collection "Take Me Away". I punched hearts out of various patterned papers and white cardstock. A few hearts are sewn down the middle with a sewing machine. 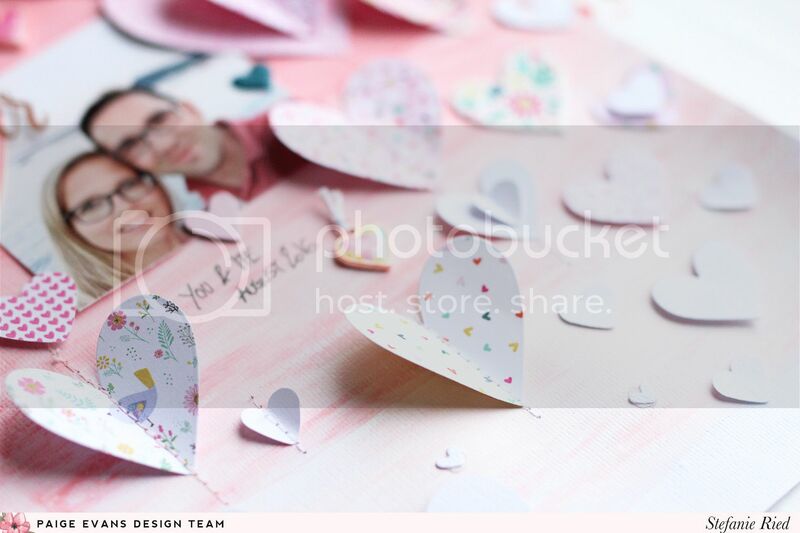 The remaining hearts are glued with glue dots and 3D dots. I created my very first YouTube video sharing how to create this layout! I hope you liked my project! Thanks so much for stopping by! See you soon! Love love love this! 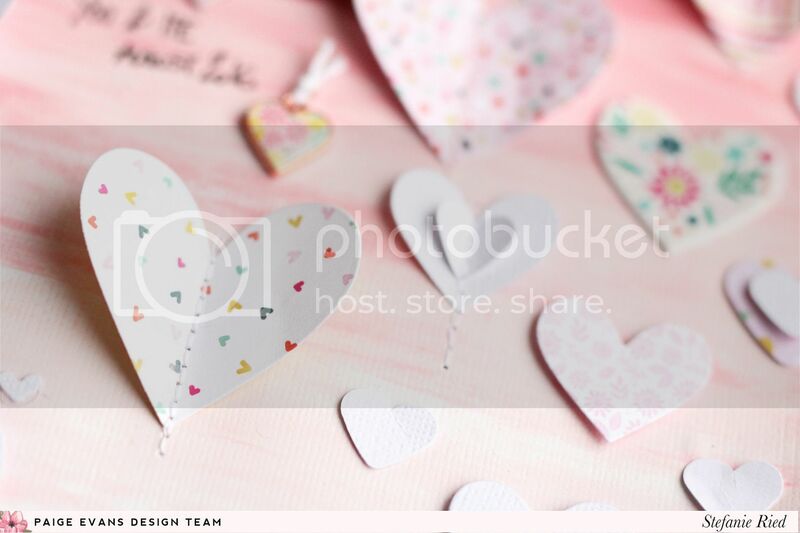 LOVING all those hearts!!!!!!!!!!!!!!! Love it I LOVE HEARTS!